The Seville® spa is a great place to get away and relax. 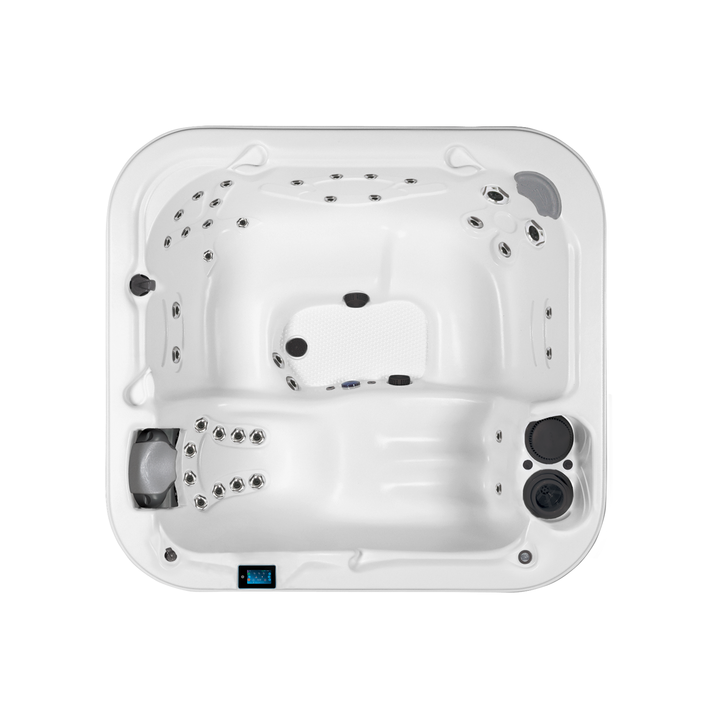 Featuring barrier-free seating for five adults and 40 powerful jets the Seville is ready to relive all your tension with a great hydromassage experience. The Ultralounge™ has patented Flex Therapy Pillow™ technology with 3 adjustable neck and shoulder jets to reduce upper body stress and all the water is filtered through the UltraPURE™ hydro-management system for a clean, crisp soak everytime. Length: 78" | Width: 84" | Height: 31"